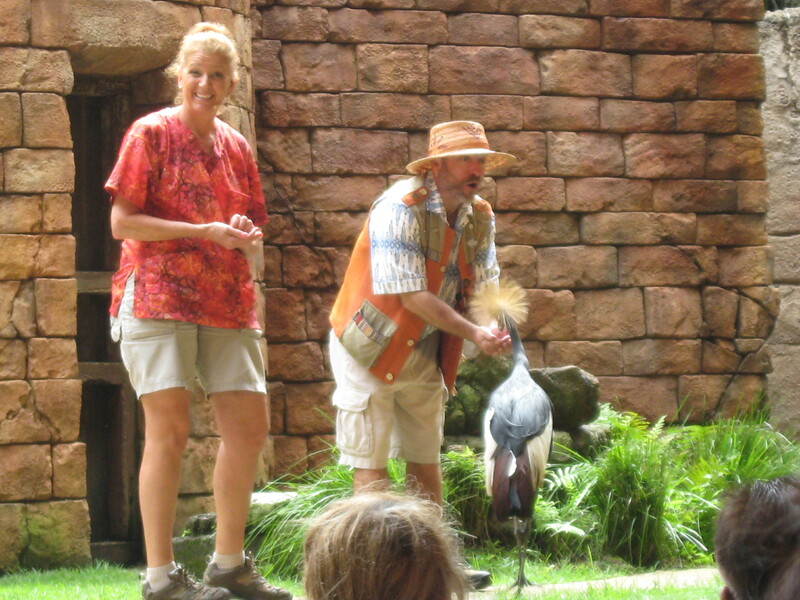 Opportunities for learning about animals and their habitats abound at Animal Kingdom park. 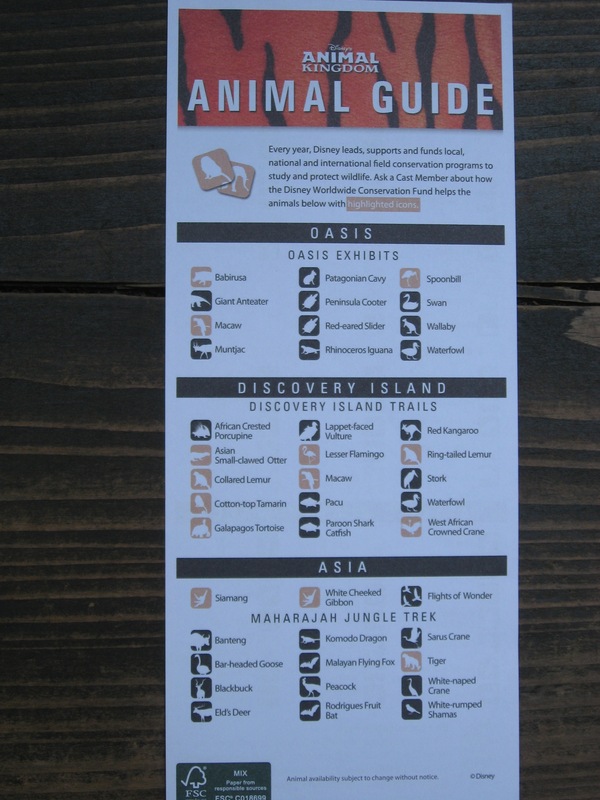 To help identify the many animals you may encounter during your visit, Animal Guides are available wherever you pick up park guide maps. These guides point out all the animals you may possibly see, organized by land. There are over 100 species listed! 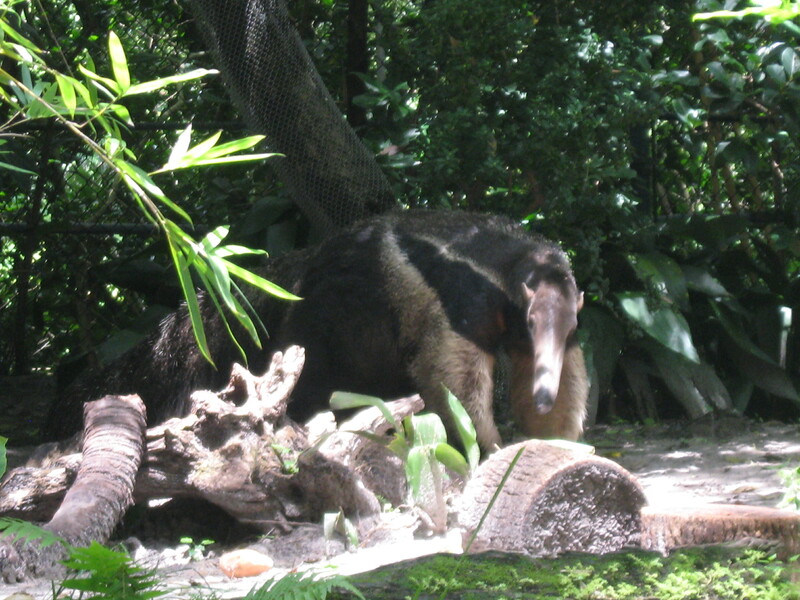 The animals that have a highlighted icon are supported specifically by the Disney Worldwide Conservation Fund. You, too, can contribute to the Fund at Guest Relations and at merchandise and select dining locations. During your next visit, pick up an Animal Guide and challenge yourself to find as many animals listed as possible. 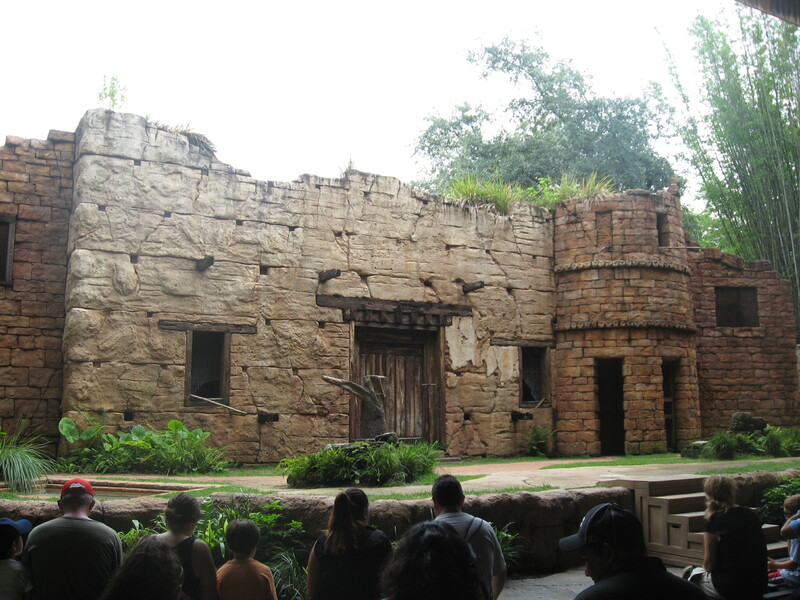 The Oasis is the first themed area that you encounter when you step into Animal Kingdom park. 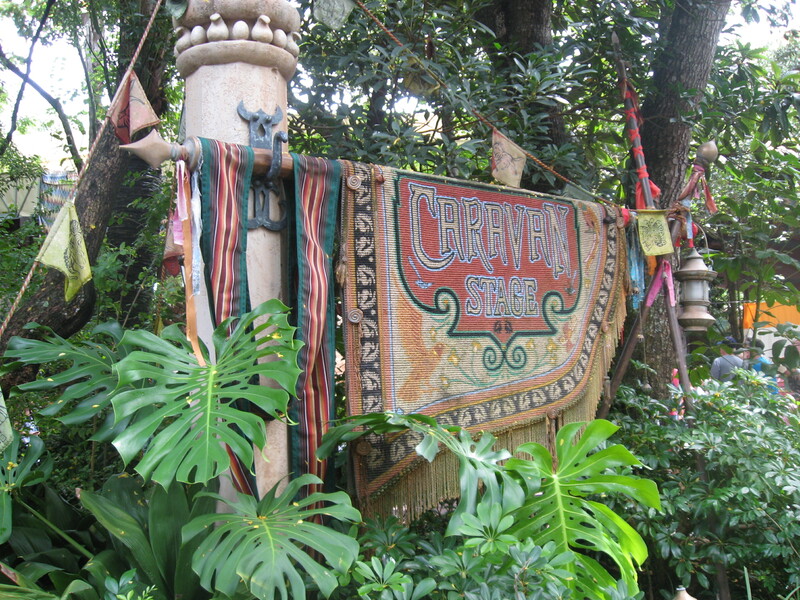 Many guests breeze through this area on their way to the attractions that lay beyond. But if you’re an animal lover, take some time to explore the Oasis Exhibits. The Exhibits showcase some interesting and rare species of both animals and plants. Look up and around you to see beautiful orchids and tropical plants. And many of the animal habitats provide a closer look than the other walking trails in the park. Some of the species you may encounter include the rhinoceros iguana, wallaby, babirusa, and many different kinds of birds. 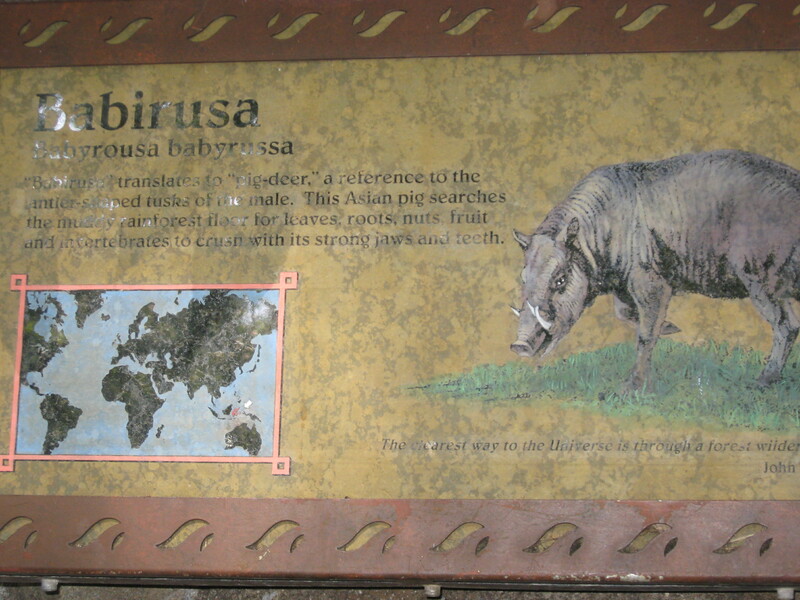 Plaques provide information about each animal, such as where it lives in the wild, what it eats, and special features or characteristics. The plaques also include quotes from famous naturalists and peace figures. 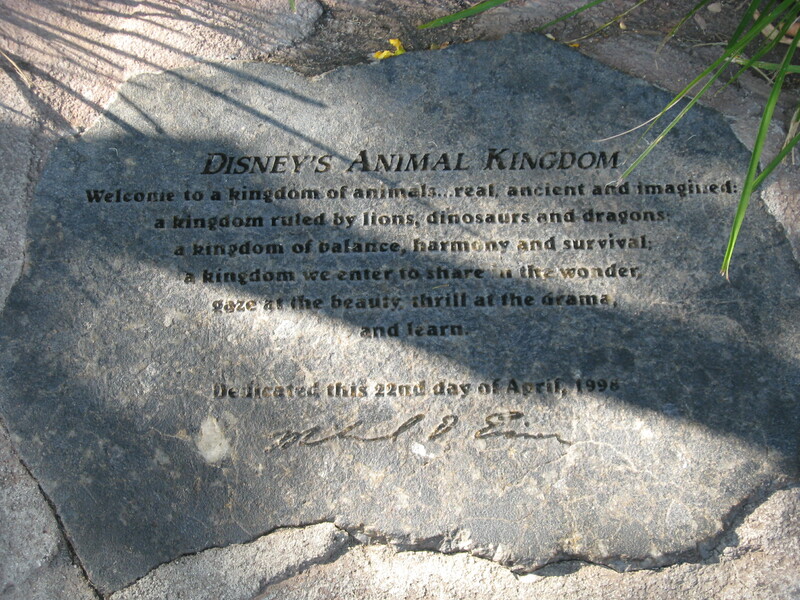 Be on the lookout for a very special plaque near the entrance to the Oasis that marks the dedication of Animal Kingdom park. It emphasizes the wonder, beauty, and chance to learn from our natural world. 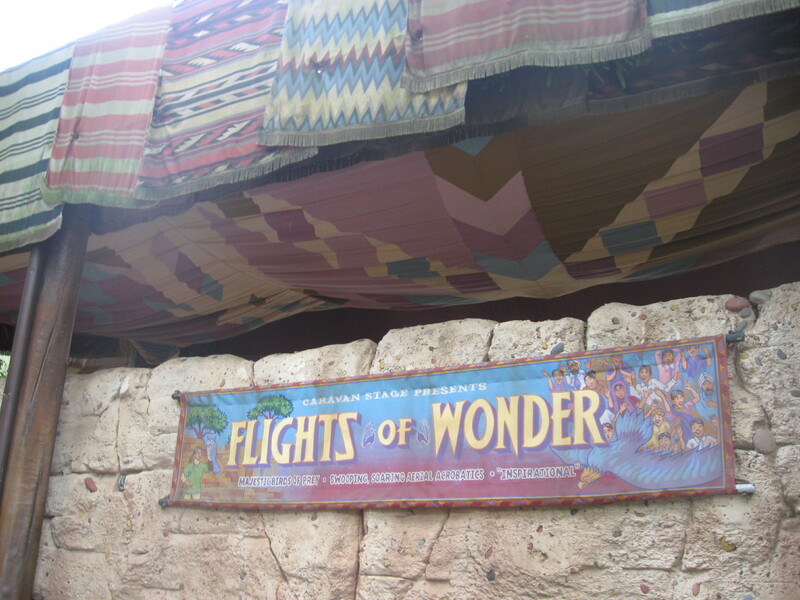 Most guests are sure to make a stop in Asia during their visit to Animal Kingdom. Many of them head straight to Expedition Everest, definitely a worthwhile attraction, but some folks may not know there is a stellar live animal show to take in as well. Toward the entrance to Asia you’ll find the Caravan Stage. 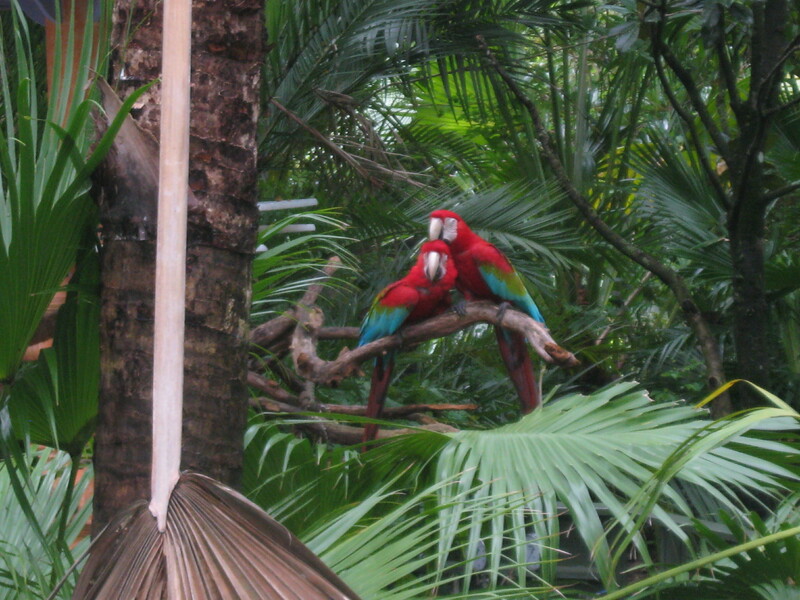 This venue is home to the Flights of Wonder bird show. The story goes that this location was once where the maharajas kept their exotic birds. Now these ruins are a conservatory and research center. 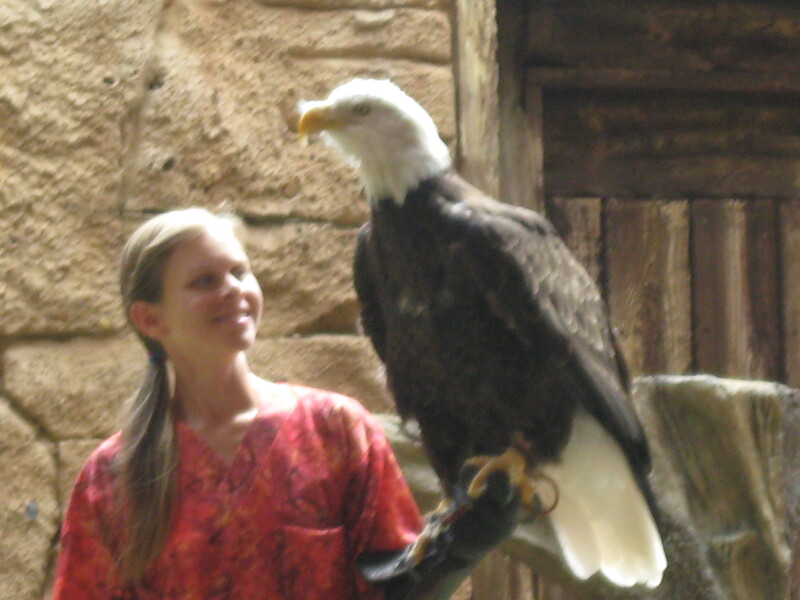 The hosts of the show are trainers who will introduce you to several species, giving facts about what endangers the birds in the wild and what conservation efforts are being made today. A tour guide character, who happens to be afraid of birds, provides some comic relief, too. This show is interactive, and lucky audience members may be chosen to participate on stage as the hosts help to show off some of the birds’ fascinating natural behaviors. They pack in a lot of neat facts and there are countless photo opportunities from any seat in the audience. Flights of Wonder is a great show for all ages. The antics of the tour guide are funny for kids, but the birds themselves are amazing for everyone. The Caravan Stage is open air and well shaded so it makes for a nice break during the day. Of course that means the show is also subject to weather, so be prepared. Some of the birds take flight in the amphitheater and they come quite close, so if you have a fear of birds, this may not be the show for you. The hosts will stay after the show with some of the birds for more pictures or to answer questions. It’s a cool experience for any animal lover.